Bambu isn’t technically a Seattle rapper but he spends so much time in the Town and has so many affiliates here that he may as well be. The Lean Sessions is a five-track EP produced entirely by Karman, a high school kid who’s making a name for himself in Los Angeles under the tutelage of DJ Phatrick. 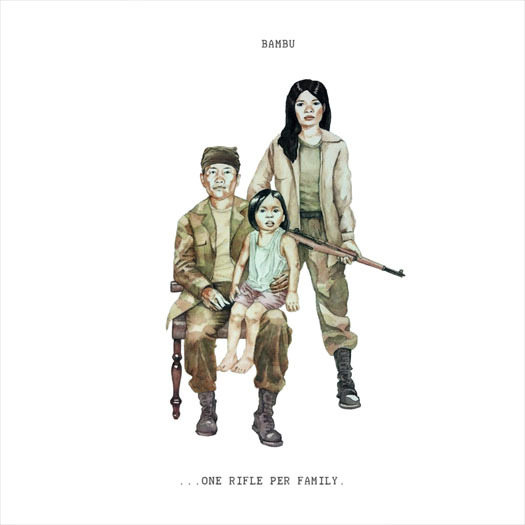 The original track called “Lean” appeared on Bam’s recent One Rifle Per Family which I gushed about here. Check out the video for “Lean” below. “Boom” is the latest drop from Bam’s One Rifle Per Family and it was produced by Seattle’s own Jake One. New York fam take note: the LA rapper is in town tomorrow performing at S.O.B.’s as part of his Rent Money Tour. Tickets here. Click here to read my review of Bambu’s new — and, according to him, final — full-length, One Rifle Per Family. Bam’s not an official SEA rapper, but if you follow the scene you know he might as well be. Peep the new clip for “Sermon,” the lead single off his next and (according to him) final LP, One Rifle Per Family (due September 18). Check it out: the first official music video from Prometheus Brown and Bambu’s excellent 2011 collaboration, The Bar. UPDATE (2.21.12, 12 pm PST): Beatrock Music also released a free Maxi Single featuring “Lookin’ Up” remixes by producers 6Fingers and Generation ILL. Get with it, here.